The first Somerset serviced residences have opened in Hai Phong as operator The Ascott expands its Vietnam footprint. The 132-unit Somerset Central TD Hai Phong City is located on a prime city site, near the international airport, seaport, industrial zone and old town centre. The new property is the first international-branded serviced residence in Hai Phong and reinforces Ascott’s presence as the largest international serviced residence owner-operator in Vietnam. Ascott currently has more than 2000 apartment units in 13 properties across four cities in the country – in Hanoi, Ho Chi Minh City, Danang and now Hai Phong. 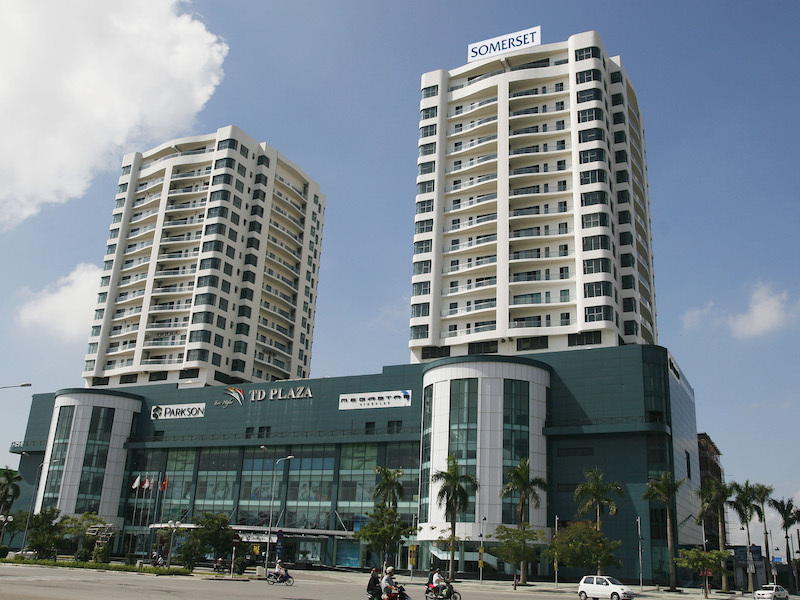 Somerset Hai Phong City is connected to retail and dining options in the adjoining TD Plaza including the popular Parkson Department Store, an eight-theatre Cineplex and a hypermarket. Leisure travellers will find themselves very close to the historic city centre and attractions such as the Hai Phong Museum, the French-built Opera House, the historic Du Hang Pagoda and Tam Bac Lake. The 132-units range from spacious studios to one- to three-bedroom units, each complete with fully-equipped kitchens and home entertainment systems. Facilities include a swimming pool, a common living area with an iMac and library, a residents’ lounge and a children’s playroom. Ascott is offering special introductory rates as an opening special, starting from VND 1,650,000++ per night or VND 30,450,000++ per month for a Studio Executive until June 30, 2015. For reservations or more information, click here, phone (31) 3810000 or email enquiry.haiphong@the-ascott.com. Mark Chan, Ascott’s country GM for Vietnam, said Ascott remains confident in the long-term economic outlook of the country, underpinned by its large, young workforce and pro-growth policies. “Hai Phong is a key city located in the Northern economic zone and has developed rapidly into an important industrial and transportation hub, attracting huge foreign investments. In turn, this will result in the strong influx of expatriates into Hai Phong city and subsequently, we expect to see increased demand for quality accommodation.